I was having an instant curry cup of noodle the other day and I thought back to the first time I had Japanese curry in Tokyo. That inspired me to do a bit of a Japanese curry overview and a retrospective look at my curry experiences. 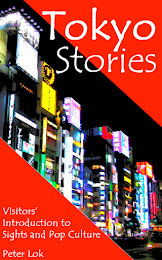 The first time I visited Tokyo was in 2009. At this point I knew that Japanese curry was a popular dish from some reading and watching anime. I had never tasted Japanese curry before, just East Indian curries, which I had enjoyed. 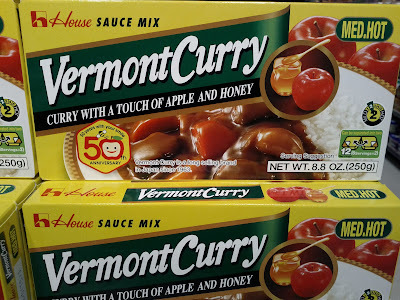 When I tasted my first Japanese curry I knew I had found a new favourite food. Japanese curry is quite different from its East Indian cousin, but curry powder is still the heart of the dish. Curry powder is composed of many spices, but some of the ones that are usually core are: coriander, turmeric, cumin, ginger, and chilies. A number of other spices and herbs are used to make different curries. You could make your own curry spice, but most cooks use a pre-made curry powder. Curry powder is then mixed into a roux which is a mixture of flour and fat/oil to make a thicker sauce. Japanese curries tend to be thick stews as they are based off of British curry recipes. They tend to be less spicy and more sweet and savoury, and can incorporate a variety of meats or vegetables. The Japanese navy first adopted curry stews from the British navy in the 19th century to prevent beriberi (lack of vitamin B1) and the tasty dish then became a national favourite. Curry is served with white rice most of the time and can include tonkatsu cutlest or breaded chicken cutlets, etc. Homemade Curry Time in Shinagawa Station was where I tried my first Japanese curry. It was dinner time, I was tired and on the way back to the hotel, and I was hungry. Trying Japanese curry was on my bucket list and after looking at the pictures of the food I was sold on it. I ordered a meal from the vending machine out front and went inside. The smell of the curry was tantalizing when I entered the shop and I could see that everyone was eating it with a big spoon. I presented my order ticket to the waitress and received my food within minutes. The curry was really good and I was so hungry I forgot to take a picture of my meal! Outside the restaurant. Sadly, I couldn't find this place again on a later trip. In later trips I would try all kinds of curry noodles and curry with rice. Below are some photos of various curry dishes I have tried. I think my favourite is still curry with rice, but curry udon is pretty darn tasty too! Camp Curry restaurant - with a side of curried meat and vegetables that have been pan fried. Link to my Camp Curry Review. A tonkatsu curry with a dark roux, side of cabbage and rice (which is under the big cutlet). This was delish! From Go Go Curry. Link to my Go Go Curry Review. After trying Japanese curry in Tokyo, I knew I wanted to taste it again. This is a dish that just isn't very common over here and it is something that you can prepare easily at home with just a few cooking skills. The easiest way is to use a pre-made curry roux. You can buy these blocks of curry roux from Glico, S&B, etc., from most supermarkets in Canada now. You can customize the curry to your own tastes and needs. Directions to use a pre-made roux are on the back of the box. Curry roux box. There are squares of hardened roux in the box. You can usually get the curry in mild, medium, and hot. After picking a roux, you still the need the other ingredients to complete the stew. I like a meat curry with pork so I chop up some pork that I cook first in the pot with some oil to brown it. I then add chopped up carrots, potatoes, and onions to go with it. After cooking everything together for a bit, you add water to stew it. The curry roux blocks are then added to thicken up the stew and add the tasty curry flavour. Finally, you have a finished curry after you let the curry roux melt into the stew and simmer for a bit. Then you dish the curry sauce with the ingredients onto a plate or a bowl to go with white rice and devour. I my household, this is something we probably make once a month and it makes enough for several days worth of dinners. Another curry roux. There are dozens and dozens of flavours to try in Japan. Less over here. This is a big fan favourite for instant noodles in Japan. Nissin is even trying a variant in the United State this year (2018). The anime Yuru Camp made this already popular product even more popular when the girls ate it while camping. I also am a big fan of these noodles. Full of curry powder, some dehydrate meat chunks, carrots, and potatoes. Nissin Curry Cup Noodle is a classic you can find in any konbini in Japan. I'm not surprised as it is tasty and has a nice savoury bunch of ingredients like meat and potatoes to go with it. The finished ramen that is ready to eat after 3 minutes rehydrating with boiling water. 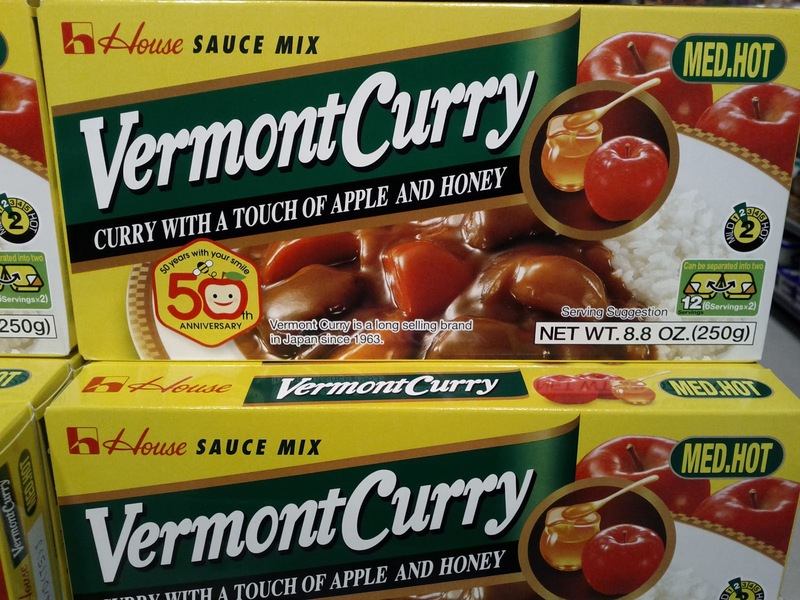 Premade curry sauces also come freeze-dried in Japan. For these sauces, you just add boiling water and wait a minute or too to have curry ready for your rice. I like these better than the retort pouched curries. An example from Ajinmoto is shown below for a vegetable curry. Ajinmoto freeze-dried vegetable curry, you can see it is 3 out of 5 on the spicy scale. Ingredients and directions on the back. This little package of curry was quite cool. You get a little bowl with a block of freeze-dried curry sauce in it. It is very light as all the water has been removed from it. Bowl to rehydrate your curry sauce in. The foil pouch contains the freeze-dried curry block. Freeze-drying really locks in the flavour. Another view of the bowl and foil block. The block of freeze-dried curry. You can see the veggies in it. Really nice! After adding boiling water it rehydrates quickly and you just have to stir it a bit. You can see some nice pieces of vegetables like corn and broccoli. After mixing the rehydrated curry a bit, it is ready to serve with rice or whatever you want. The flavour was really good with a nice strong curry taste. If this was camping food you'd love it and it was good for a light lunch. Vegetable curry with brown rice. You can now buy these retort pouch curries in supermarkets over here in Canada. These are curries that just need to be reheated and served with rice. The Tasty Bite is pretty good and just needs nuking in the microwave. The 3 other kinds of curry come in foil pouches (like in an MRE) and cannot be nuked. They are more a pain to use as you need to either heat the pouch in boiling water or dump the contents into a bowl to nuke it before serving with rice. They are all pretty good, but not as good as making it yourself even if using a pre-made roux. On of the big issues with these pouches is that they seem to be heavy on sauce and light on vegetables. Still, if you want curry in a hurry, then these are handy.